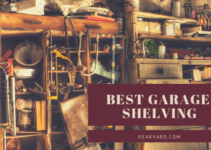 A garage can be much more than a place to park your car in the cold months. If you are able to add heat, it can be utilized in even the coldest of weather for things such as car repair, hobbies, wood working , and home improvement tasks. 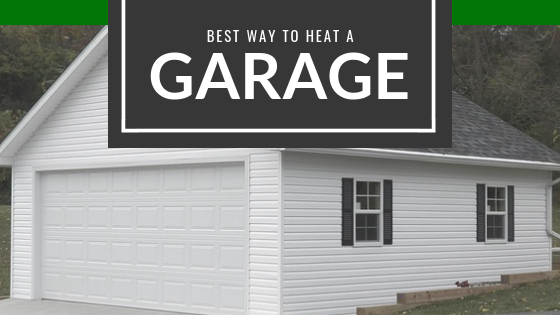 There are a few steps you can take to help turn your garage into a heated area of your home. Let’s take a look at what can be done. One of the most practical things you can do is add insulation to your garage walls and ceiling. This will help keep the warm air inside the garage during the cold months and prevent hot air from escaping during the hot months. 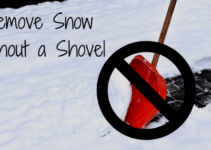 In areas where winters do not produce extremely cold weather, a good insulation job may be enough to allow the space to be comfortable to work in. The garage door is one of the biggest culprits for allowing cold/hot air into the garage. A garage door insulation kit is a great option to help your garage retain heat during those long winter months. The kit is easy to install with only the required tools being a straight edge, utility knife, tape measure, gloves and googles for safety. Most people will have the kit installed within about an hour. Radiant/Infrared – This heater works by producing waves that move around the room until they hit an object. The objects, not the air, are heated by this radiation. You can think of this heat as being similar to the sun. When you are outdoors in the winter and the sun begins to shining down from beyond the clouds, you often notice a warmth hitting your skin. It isn’t the air that is warming your skin, it is the the sun’s radiation. Fan – A fan heater passes air over a heat source and pushes this hot air out into the room. Since a fan heater heats the air, a lot of this air will be lost if your garage is not insulated. A disadvantage of this type of heater is that the noise of the fan can be annoying to some people. Convection – The noise level with this heater is minimal because the heat is allowed to come out on its own without assistance of a fan. The disadvantage is it can be a slow process for the heat to move from the heating element (flame) into the room. The heat tends to rise to the ceiling and can seep out of spaces that are not insulated. 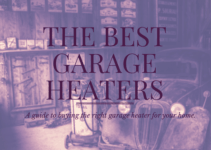 Check out our article on the best garage heaters for a selection of some of the top heaters. These heaters range from portable to large wall-mounted models, so you have some choices based on your budget or preference. An expensive but efficient and quiet option to heat a garage is to add radiant floor heating. This type of heating is typically produced from PEX tubes that contain hot-water that is heated by a boiler. The radiant heat rises from the floor from beneath the concrete or flooring surface. It is easiest to install during a new construction, since the existing floor will not have to be removed for installation. You probably guessed that this is not be a weekend DIY installation process. Most people will need it professionally installed.